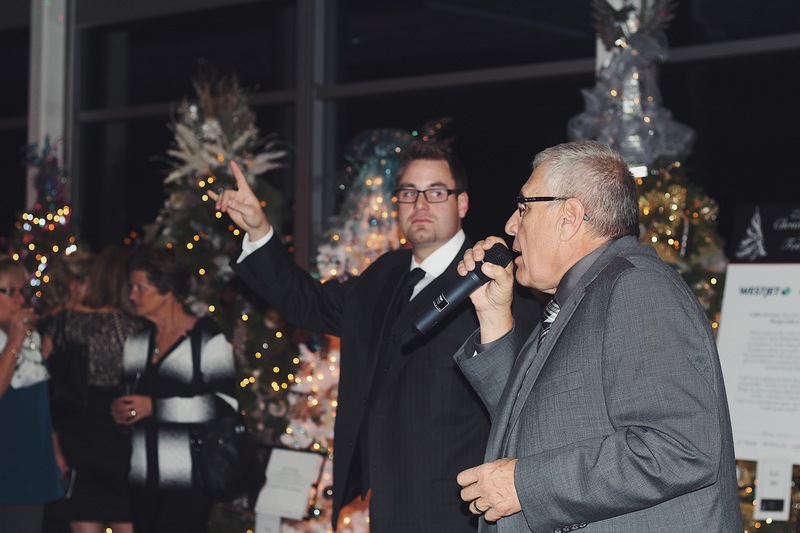 Chinook Regional Hospital Foundation’s 26th Annual Christmas Tree Festival Raises $165,000.00. - LETHBRIDGE — The Christmas Season has officially kicked off with the completion of the 2018 Christmas Tree Festival. The annual holiday tradition, presented once again by Stringam LLP, raises funds for the Chinook Regional Hospital Foundation. The event was wrapped up in spectacular fashion with the Gala and Auction on Wednesday, November 21st. All of the trees, along with a number of other items, were auctioned off by Balog Auction Services Inc. In total, over $165,000.00. “Once again we are blown away by the support shown to us by the individuals and business in Lethbridge and surrounding area – we really can’t thank them enough” says Jason VandenHoek, Executive Director of the Chinook Regional Hospital Foundation. “There was a great deal of excitement around this year’s auction and we had an amazing evening.” A listing of all tree buyers, sponsors and decorators will be published in the Lethbridge Herald in the coming weeks. In total, more than 4,000 people visited the Festival, which was once again held in the Canadian Western Bank Lounge at ENMAX Centre. Themes of trees this year included Mystics of the Sea, Boho Christmas, Season of Hope and Moon Over Antarctica, just to name a few. All together there were 26 trees, each decorated and sponsored by local businesses, individuals and community groups. Many trees purchased at this year’s auction were generously donated to community organizations within the city of Lethbridge. Organizations such as the Chinook Regional Hospital, Interfaith Food Bank, Lethbridge Family Services and St. Paul’s School all will receive Christmas Trees donated to them by various business and individuals.